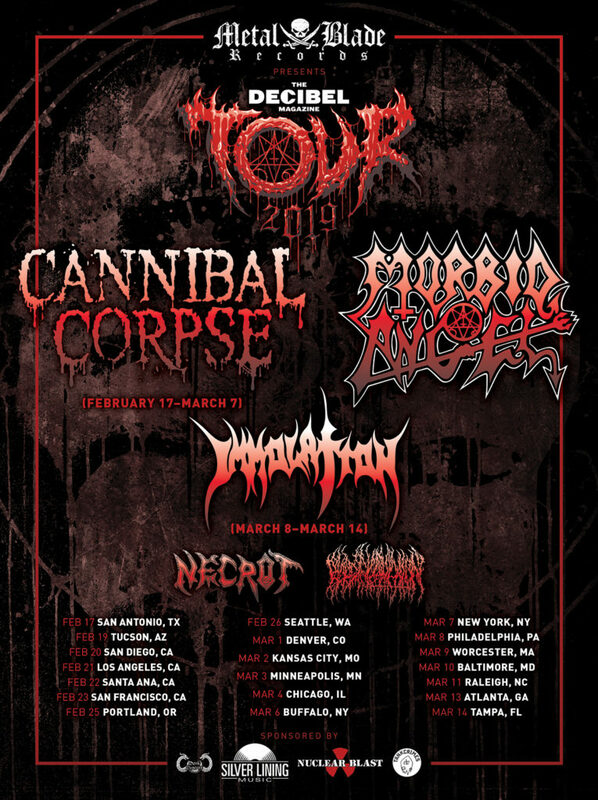 The Bay Area death bringers in NECROT will kick off a month-long US run of dates as part of the eighth annual Decibel Magazine Tour featuring Cannibal Corpse, Morbid Angel, Immolation, and Blood Incantation. 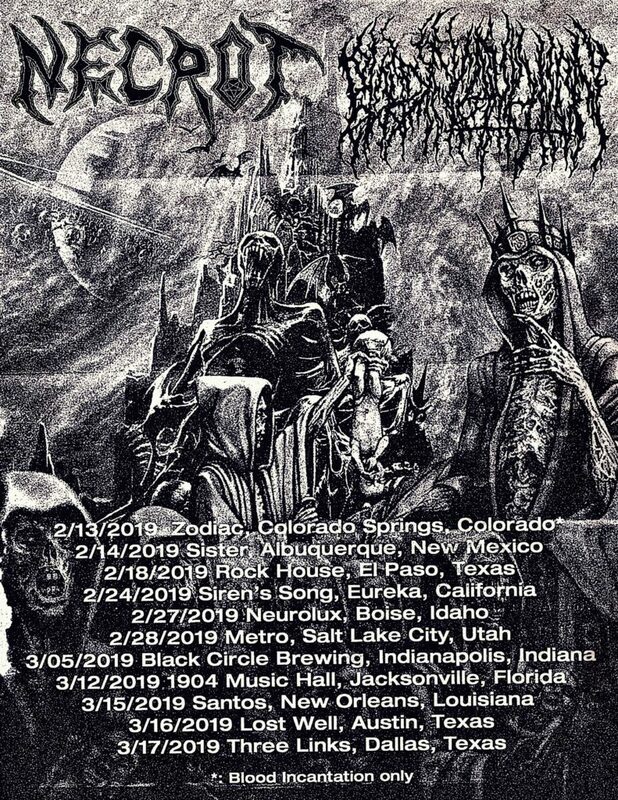 The band will play a warm-up show on February 14th in Albuquerque, New Mexico with their comrades in Blood Incantation before heading to San Antonio, Texas February 17th to kick off a twenty-nine date journey that includes one-off headlining shows along the way. See all confirmed dates below. 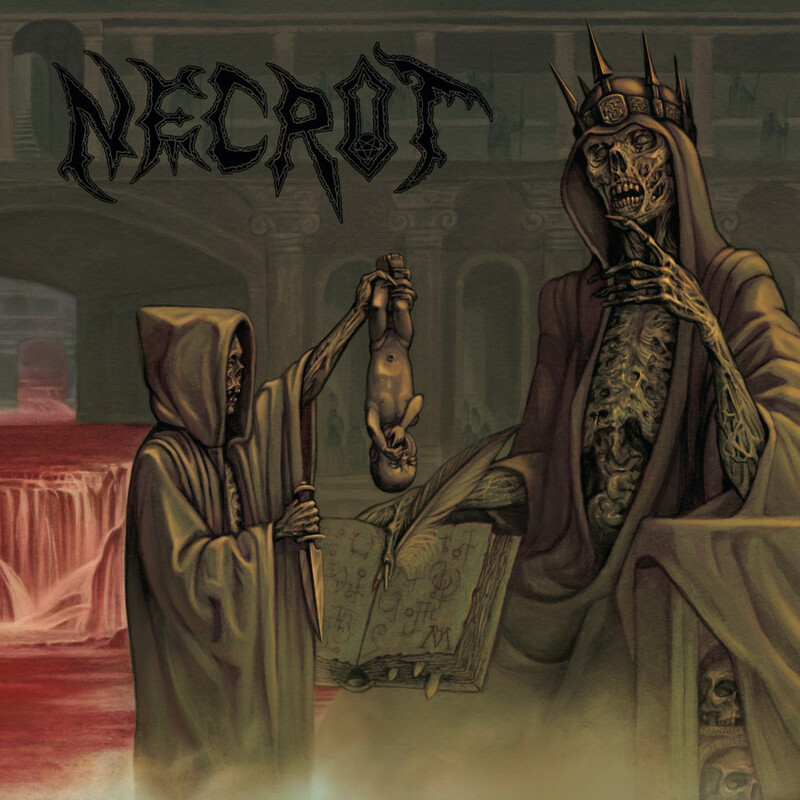 NECROT’s Blood Offerings is out now on CD, digital, and vinyl formats and well a newly-issued deluxe cassette edition. 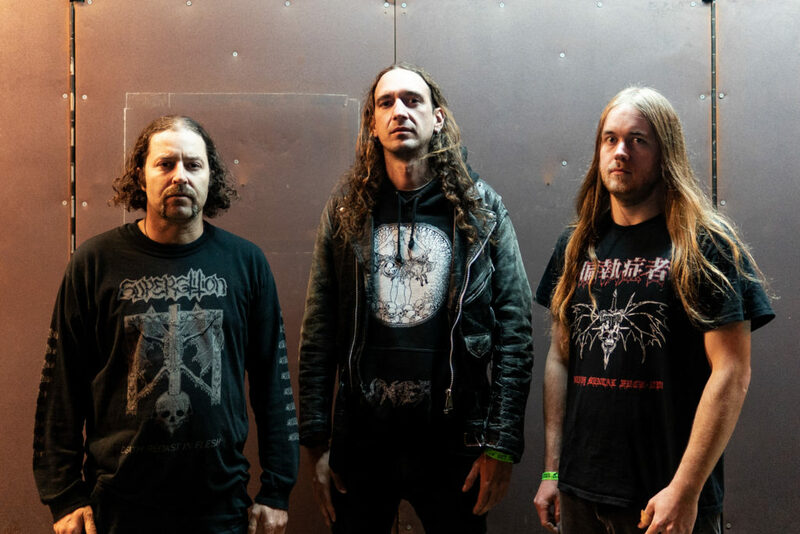 Additionally, Tankcrimes recently repressed the LP (now available on limited-edition splatter or olive vinyl). Find physical orders at THIS LOCATION. Stream Blood Offerings in full at THIS LOCATION where you can also purchase the record digitally.